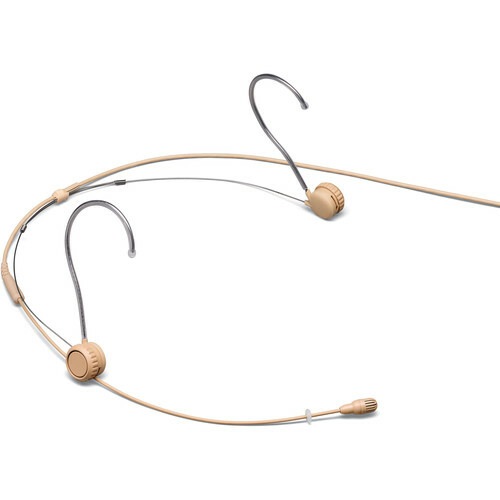 Sweat and moisture won't stop your signal when you use the tan Shure TwinPlex TH53 omnidirectional headset microphone as your transducer of choice. 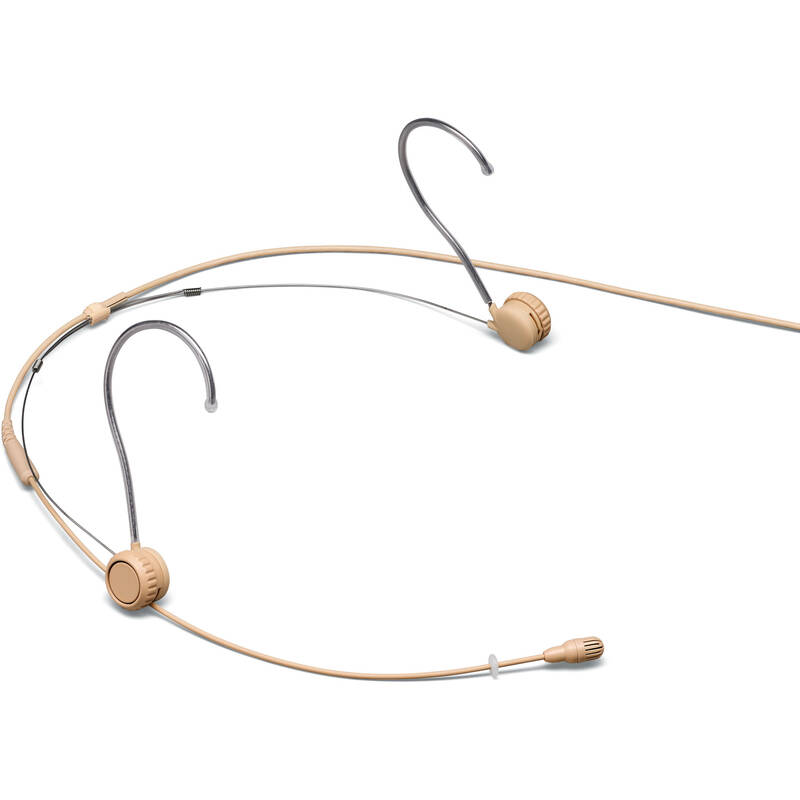 This ultra-lightweight mic boasts a patent-pending, dual-diaphragm condenser capsule with an omnidirectional polar pattern, yielding full, natural tone and consistent off-axis response along with low self-noise and wide dynamic range. Plus, the swappable frequency caps incorporate a superhydrophobic nanoscopic coating to eliminate sweat-outs and signal drops caused by perspiration. The full adjustable headset frame offers switchable sides, and features a clutch system that enables the length and pitch of the boom arm to be adjusted at the turn of a knob. The paintable, medical-grade, 1.6mm diameter cable resists kinks while maintaining flexibility, and uses a redundant ground for enhanced shielding. The cable end is terminated with a 3-pin LEMO connector for compatibility with an array of wireless transmitters. The TwinPlex TH53 includes an array of accessories and a storage case.